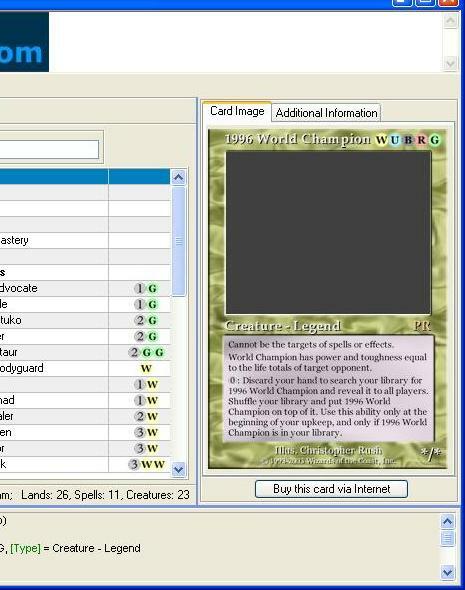 Collectible Card Game Headquarters • View topic - How to stretch card image in MWS ?? How to stretch card image in MWS ?? Last edited by belushka on 05 May 2012, 09:52, edited 1 time in total. Re: How to stretch card image in MWS ?? I installed MWS easy install, but when I raise my DPI in windows, the card image stays the same. In play mode is better because the image also gets bigger along with DPI. belushka wrote: I installed MWS easy install, but when I raise my DPI in windows, the card image stays the same. In play mode is better because the image also gets bigger along with DPI.